Tuesday had time to hang out with my friend Tom. Thursday I drove down to Marinette Wisconsin and played through the Marinette City Park disc golf course. I had a chance to talk with a guy named Kevin. Keep him in your prayers as he is searching for a job. Friday I drove to the Bay de Noc trailhead in the Hiawatha Forest and hiked for 7.5 miles. Not another soul on the trail the entire time. Saturday was 17.6 miles of hiking in the Pictured Rocks National Lakeshore. The start of this trip was somewhat of a let down because it was just a forest and nothing really amazing. Once I arrived at the lakeshore, I remembered. 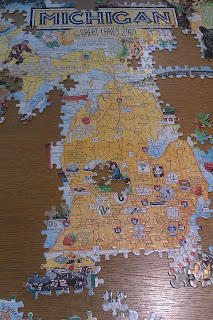 It is a national lakeshore, not a forest. Amazing. God's creation is beautiful. Sunday I attended Bark River Bible Church. The pastor, Brad, and the others I met (Roger and Ruth are the only names I remember) were extremely friendly. That afternoon I continued onto Marquette to play the Silver Creek disc golf course (course is in Harvey, MI near Marquette). Sebastion, Steve, and Tim were my tour guides for the course as they put it. They were great tour guides because I had my second ace on hole #6. On the nine holes I ended with a +3 (it would have been much worse without that ace). According to Tim and Sebastion the ace would have been $250 if I was playing the league there. 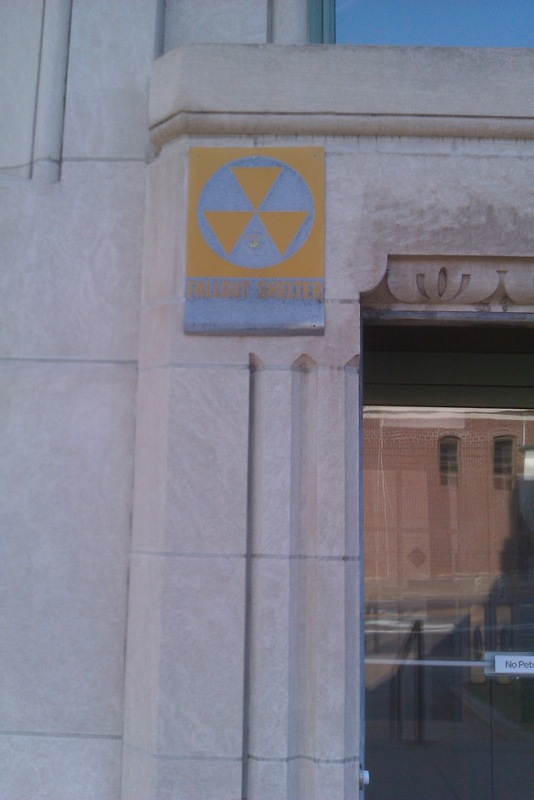 The remainder of the evening I spent walking around Marquette and found the fallout shelter. Dinner was yummification at the Pasta Shop. The Pasta Shop had the mix feeling between italian architecture and college town joint. Monday morning came early. 4:30AM early. That was to arrive at the mighty mac to walk. While walking I met Diane and her family that had 4 generations represented and the oldest lady, Virginia, at 85 years just recovered from a knee surgery and a tumor removed from her neck (previoiusly she was paralyzed). The last stop in the U.P. was Doc Holle's Silver Mountain disc golf course. 24 holes that had some awesome altitude changes. I managed to score 8 on one hole (I don't think I left the dense woods until the last put). It was a great course. Hole 15 (or 21) had views of Lake Michigan. Does that count as a water hole? The final number...37.4 (average mpg). 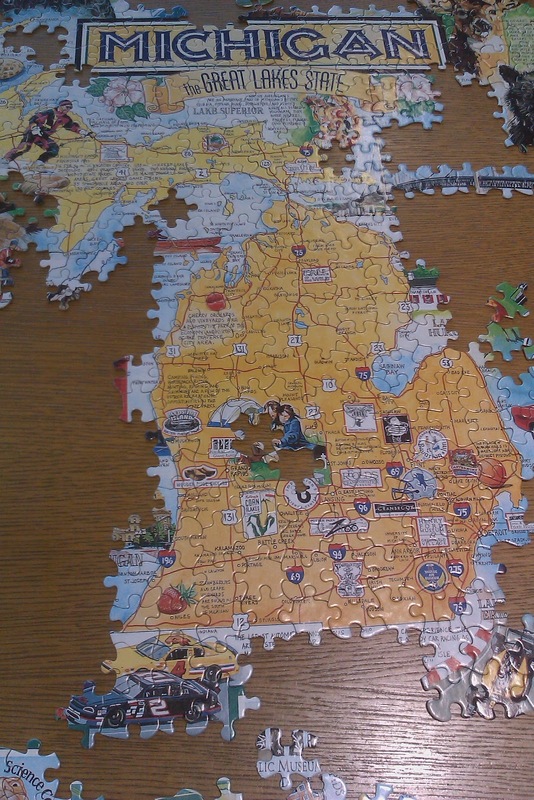 Welcome to Michigan. This is awesome, keep the posts coming!